> Blog > What is a Good Cell Phone Signal Strength? What is a Good Cell Phone Signal Strength? No matter what type of building you own — residential, commercial, office building — the people that step inside of it demand reliable cellular coverage. 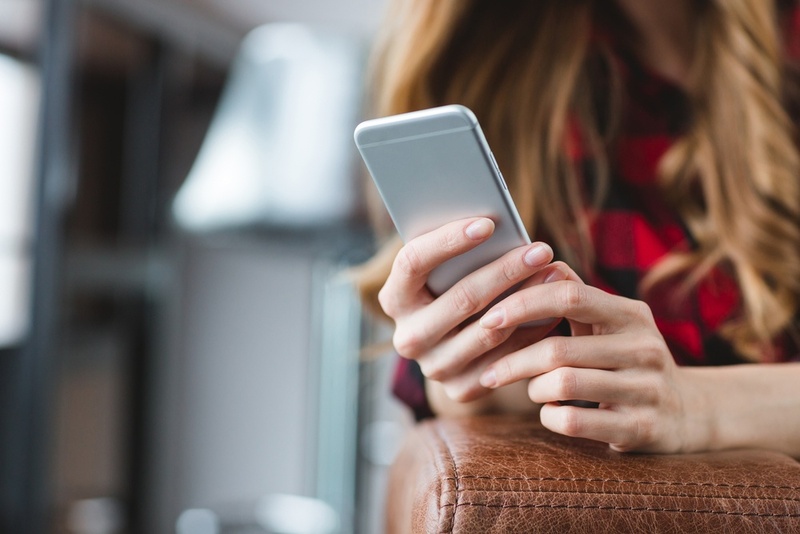 If your tenants, patrons, or visitors are dropping calls or unable to get online to conduct business, it’s time to re-examine how you measure good cell phone signal strength in your building or buildings. Many building owners rely on signal bars as the measure of coverage both inside and outside. If a call is dropped or a Web page begins to buffer, bars are typically the first thing we look at. In reality, however, those bars have little to do with the actual strength of the cell signal you’re getting. The number of bars can vary based on cell carrier, phone manufacturer, or even the way you hold your phone. The bottom line is that there is no standard for what these bars mean or what they actually measure, be it data or voice performance across 3G, 4G, or 5G networks. What evidence of cell signal strength matters? So what factors should you be looking at to evaluate the coverage strength in your building? It may sound simple, but the only real evidence of signal strength that matters is call clarity and the number of dropped calls. When it comes to data, minimal buffering and increased download speeds indicate a strong signal. If you’re not achieving these things in your building, you will need to assess what your actual level of connectivity is. There are a few methods for testing cell signal strength, including using the “field test mode” options available on both Android and Apple iOS devices, or working with a professional who can perform a comprehensive site survey using a professional-grade signal meter. Signal meters detect and display signal frequency, bandwidth, and strength with absolute certainty. Cell phone signal strength is measured in decibels (dBm). Signal strengths can range from approximately -30 dBm to -110 dBm. The closer that number is to 0, the stronger the cell signal. In general, anything better than -85 decibels is considered a usable signal. If the signal in your building is not hitting this benchmark, you’ll definitely need a cell phone signal booster, also known as a passive distributed antenna system (DAS). These signal boosters typically improve signal strengths to a level of -70 dBm or better. Passive DAS eliminates cellular connectivity problems by capturing and amplifying the existing cellular signal. This solution is ideal, and cost-effective for large buildings and commercial spaces. Passive DAS systems that employ a dual-amplifier design offer a superior solution in cell signal boosting, by compensating for signals that are lost over long lengths of cable. This is key because, as cell signal moves over long lengths of coax cable, some signal is lost, reducing booster system performance. A dual configuration features a main signal booster and a supplementary inline booster working in tandem to maximize the signal boost. WilsonPro offers a number of passive DAS cell signal boosting solutions, including the Pro 1050 dual-amplifier system and the Pro 70 Plus line of boosters. WilsonPro’s systems work with all of the major cellular service carriers. 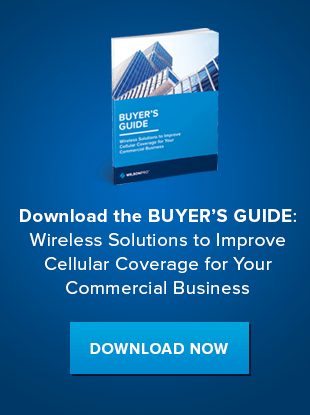 If you’d like to learn more about how WilsonPro can help you improve connectivity in your commercial building, download our Buyer’s Guide below or contact us today.